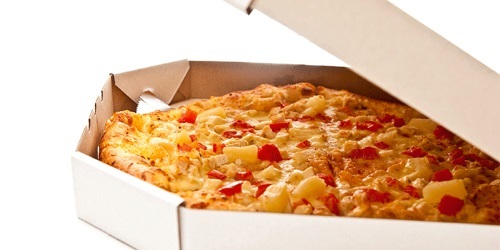 The Danish food authorities have introduced a guidance value on fluorinated substances in food packaging to reduce the use of these substances, which can be harmful to both humans and the environment. The value has been prepared by researchers from the National Food Institute, Technical University of Denmark, in close cooperation with Danish and international authorities, researchers and industry. Fluorinated substances are synthetically produced chemicals that repel water and oil, which are used as coatings for food paper and board as well as in other products. Fluorinated substances are problematic because they are resistant to break down and bioaccumulate in both humans and the environment. Some fluorinated substances are known to correlate with harmful health effects, such as cancer, increased cholesterol and a weakened immune system. They can also decrease men’s and women’s ability to reproduce, and the chemicals can be transferred from mother to child during pregnancy and via breast milk. In August 2015 the Danish Minister for Environment and Food introduced a guidance value on the use of fluorinated substances in food packaging. The guidance value is at a level, which in practice means that the value will be exceeded if fluorinated substances are used in the packaging. However, it allows low levels of unintentionally added fluorinated substances, fx from recycled paper. In addition, the minister will call for a tightening of the regulation of fluorinated substances in paper and board at the EU-level. The guidance value introduced by the authorities has been established by researchers from the National Food Institute, who for the past 10 years have done research and provided advice on fluorinated substances. They have developed the value based on a combination of current scientific data, while also taking into account the practical, environmental and economic considerations for businesses, authorities and consumers.